Bladen County is becoming healthier, although there’s remains much room for improvement, according to the County Health Rankings published by the University of Wisconsin Population Health Institute and the Robert Wood Johnson Foundation. Bladen County ranked 88th among North Carolina’s 100 counties in the 2015 rankings released Wednesday. That’s a rise of three places from 2014 and a jump of 10 places from 2013 when Bladen County was ranked 98th. 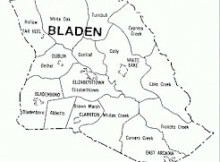 Among other health initiatives recently in Bladen include improvements to the Bladen County Park, walking trails in East Arcadia, road improvements that reduce accidents, renovations to Wateree Park and the development of McLean Park in Bladenboro, and community organizations and agencies that offer aid and support, Harrelson noted. Bladen County was ranked 27th in physical environment in the 2015 rankings, which include factors such as air pollution, drinking water and housing issues. The rankings show Bladen was ranked 86th out of the state’s 100 counties in length of life, 85th in quality of life, 72 in health behaviors, 96th in clinical care, and 92nd in social and economic factors. Among surrounding counties, Pender was ranked 20th overall in the 2015 report while Sampson was 70th, Cumberland was 73th, Robeson was 95th and Columbus was 100th. Columbus County has ranked last in the survey each year. Orange County was ranked as the healthiest North Carolina county in the 2015 report followed by Wake, Watauga, Union and Mecklenburg. The rankings, now in their sixth year, assess the overall health of more than 3,000 counties across the United States, using a standard way to measure how healthy people are and how long they live. The rankings show that how long and how well people live depends on multiple factors beyond just their access to medical care. It examines 25 factors that influence health, including rates of childhood poverty, rates of smoking, obesity levels, teen birth rates, access to physicians and dentists, rates of high school graduation and college attendance, access to healthy foods, levels of physical inactivity, and percentages of children living in single parent households. “Health is everyone’s responsibility,” Harrelson said. 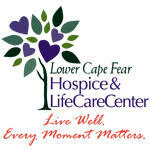 “Working together, we can make Bladen a healthier place to live, learn, work and play.